So here is a niche request. As a jail Chaplain, I routinely receive requests from inmates on how to marry their beloved while incarcerated. The short answer in our facility (and many others) is, they can’t. Due to the normally heavy request load (which involves a lot of saying no) I have been in the habit of simply responding that it’s not permitted here. I have been stewing on the idea of instead calling the inmate (singular) in, telling them no, but offering them some brief instruction on the Scriptural purpose of marriage, roles, etc. I am generally familiar with all of these things, but have little experience in counseling people preparing for it due to our policy here. Often our time and opportunity with inmates is brief, and resources are slim (but we have plenty of Bibles)! So, (particularly pastors) if you were me with this opportunity, where would you begin? I see from your profile that you are in Florida. You say you are a “jail chaplain.” Is the institution in which you do this ministry a penitentiary? If so, state or federal? I ask because I recall some years ago a woman who used our curriculum Five Aspects of Woman - which does not have someone incarcerated in mind as to an audience - in ministry with female prisoners. I do not recall if it was a state or federal prison in which they was going on. It’s been long ago enough for the details to be misty, but I’ll start digging to find out what I can recover. Here’s one angle - rather than marriage counseling might you have more wiggle room as to what you can do if you were taking one or more inmates through a syllabus, even a religious syllabus? Sometimes it’s what you name these things that can make a difference as to whether it falls into this category or that category. Thanks Fr. Bill. I was actually thinking a little about you and your curricula when I wrote this. I am a chaplain in a county jail, where most of our inmates are awaiting trial and have not yet been convicted (plenty of stressful waiting time to think about what you did wrong, and cry out to God for mercy, although the form His mercy takes is often not what is asked for) I am responsible for overseeing pretty much all organized religious activity here. As long as the inmate requests it, we have no real outside restrictions on what or how we teach, the restrictions are mostly practical and self-imposed. We don’t usually have a lot of time to pour into individual inmates in one on one times due to the demand and available facilities, so for almost any reason outside a life or death emergency, I rarely get to spend more than thirty minutes one on one with an inmate, and we don’t really give out books except for the inmates requested religious text, which I why I am thinking in terms of abbreviated, Biblically focused resources I could walk through with them briefly, or maybe condensed into a single sheet of paper with main ideas and scripture references for them to follow up with. Ach! I wondered if the constraints on your time with the inmates might be pretty severe. You’ve confirmed that they are. In a penitentiary an inmate is looking at a pretty solid span of time - many months at a minimum, usually several years. And so (I’m guessing here) the prison administration is able/willing to welcome “programming” that fits comfortably within these parameters, including religious instruction (or any other sort of instruction). As I recall, this was the situation with the woman and her prison inmates in a women’s prison. Our curricula span 15 to 20 weeks, depending on how they’re parceled out to the students. This actually “fits” more easily into a prison setting than it does a church-education setting (!) because the latter often follow 10 to 13 week quarters. And while teaching content of our syllabi and instructional “challenges” to the student include at various places an express gospel presentation, I wonder if the briefer exposure to the inmate that you have doesn’t warrant making a presentation of the gospel the center of whatever it is you “program” for them, rather than a Biblical theology of manhood or womanhood. Josiah, I have been a mentor/discipler in our county jail for several years. I understand the time limitations. I can meet with an inmate one hour per week. The usual turnover is a few months and occasionally a year or little more, but that is the exception. I would suggest developing, or using, materials that are an overview of what scripture teaches about marriage (eg, created by God, directed by His commandments, a covenant not a contract, the roles within it, the responsibilities in it, communication, avoiding adultery, etc. Focus on the Scripture and the Gospel. Keep it simple, clear, and Scriptural. Review, review, review and build upon the foundation you lay. Jay Adams book,“Christin Living in the Home” can provide you with some direction and give you and basic outline. Thanks. I picked that book up somewhere and have been meaning to get to it. This will speed up that process :-p. Yea I was thinking about focusing on Genesis1-2 and Ephesians 5, pointing out how marriage is intended to reflect the gospel. 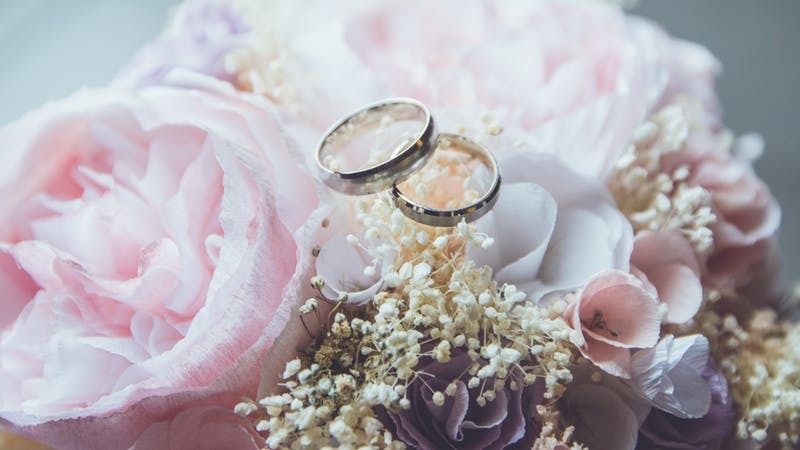 If you had to summarize the story of marriage in seven Bible verses, what seven would you choose?